What's the Price for the 2019 Dodge Durango? What's New for the 2019 Dodge Durango? The Dodge Durango is one of the more recognizable midsize SUVs on the market. Thanks to its longevity as well as its impressive style, the Durango has proven that it is a top contender for serious SUV shoppers to consider. The model was introduced in the 1997 model year, and the Durango entered its third generation in 2011 with a major overhaul. Since that time, Dodge has regularly improved upon an already-appealing design. In 2019, Durango SUVs that have the optional Tow Group IV package will also get an integrated trailer brake controller for improved functionality. If you opt for the Durango GT trim for 2019, your vehicle will have an updated grille that adds character to the front end. The Durango will also be available in a new trim for 2019, and this is the GT Plus. Some of the standard features that are included in the GT Plus trim include a heated steering wheel, heated first and second rows, power adjustments and lumbar support for the driver’s and front passenger’s seat, a power liftgate and a new inverter. The GT Plus also features a driver memory function for seating, side mirrors and audio. This new trim falls between the GT and Citadel trims. Keep in mind that these new features add on to what the Durango already offered. This is a powerful SUV that is equipped with several impressive powertrain options. The most powerful option available is a 6.4-liter, V8 HEMI engine that has the capability of towing up to 8,700 pounds. The 2019 Durango is available in 11 exterior color choices, and it has an LED racetrack-style taillight, optional LED daytime running lights, a third row of seating, a large display for the infotainment system, SiriusXM satellite radio, an optional rear entertainment center, HD radio, an integrated center stack audio system, active noise cancellation, an auto-dimming rearview mirror, turn signals integrated into the side mirrors, powered and heated side mirrors, roof racks and more. 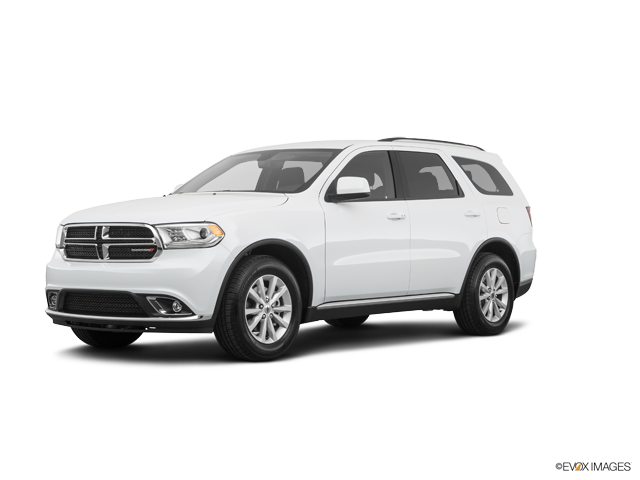 Keep in mind that the standard and optional Durango features vary depending on the trim that you select. Several optional packages or groups may also be added to select trims. If you have not gotten behind the wheel of the 2019 Durango for a test drive yet, now is the ideal time to do so. With a brand-new trim available as well as with so many wonderful features available in the carryover trims from last year, this is an SUV that you should check out before you finalize your purchase plans. As your preferred Dodge dealership serving local customers, you can expect us to provide you with personalized attention and to help you pick out the right Durango to take home soon. Because we are committed to getting each valued customer into the right vehicle for their unique needs, you can feel confident that we maintain a no-hassle sales environment. We invite you to stop by our dealership soon to take a closer look at the Durango and to test drive a few trims that you are interested in. You may also contact us by phone or email to get your questions answered by one of our helpful sales agents and to make an appointment for a test drive.